For example, drivers were once able to stream video with mobile cameras under California’s old laws. This created the same types of dangers that come with texting and driving, except the drivers’ focus on the camera for long periods of time can be even more deadly. California is often the first state to enact policy that sweeps the nation, so lawmakers across state legislatures everywhere are awaiting data to determine whether they should propose similar measures at home. 391,000 accidents were reported in 2015 that involved distracted drivers. When adding in those who stream video from their vehicles, the threat from phones and tablets is magnified. There are about 660,000 cell phones in the hands of drivers on our roads on any given day. 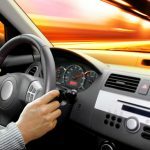 Upon reviewing NHSTA data, California’s lawmakers noticed that 3,263 of the 3,477 people killed in car accidents in 2015 were distracted while they drove. There is now no doubt that forcing people to stop using mobile devices behind the wheel will save lives. While many safety advocates are praising the new legislation, others are not convinced that it is truly addressing the issue. The physical devices are only one part of the problem. When drivers are in the company of others, however, there are other forms of distractions that can pull their attention from the road. This is referred to as a cognitive distraction. For example, the passenger texting next to you, the radio, the child screaming in the back seat and the uncontrolled pet are all able to take our eyes off the road. Passengers are not aware of how their unruly behavior can impact the driver, either. It is generally assumed that the only person who needs to be alert, aware and focused is the person doing the driving. Some feel that there are no laws that will ever solve the problem so long as our friends and family members can distract us simply by being there. Instead, we need to be aware of how we are affecting the person behind the wheel and be responsible passengers and expect the same of those we transport when it is our turn to man the wheel. Automakers are beginning to address the issue of distracted driving by developing features that will warn drivers when they are approaching another vehicle too quickly or alerting them when they try to change lanes that a vehicle is in their blind spot. These technologies are not always beneficial, however, as some of them may prove to be a distraction themselves. Strides are being made to make these features more intuitive and to improve the technology itself to avoid false-positives. For example, safety features that activate the brakes to avoid a collision have been responsible for accidents when they apply the brakes needlessly, and the vehicle is then struck from behind by the person who was not paying attention or could not react quickly enough. Only time will tell whether the combination of safety initiatives and new laws can turn the tide in this ever raging battle against distracted driving. While most people attribute the problem primarily to teenagers, it is time that everyone begins to take responsibility for how they contribute. The most innovative technology of our time will never be able to control whether a driver chooses to focus on the road or the handheld device that belongs in his or her pocket during the trip.